Moore’s Law predicted that the number of transistors on a chip would double approximately every 2 years. However, this trend is arriving at an impasse. Optimizing the usage of the available transistors within the thermal dissipation capabilities of the packaging is a pending topic. Multi-core processors exploit coarse-grain parallelism to improve energy efficiency. Vectorization allows developers to exploit data-level parallelism, operating on several elements per instruction and thus, reducing the pressure to the fetch and decode pipeline stages. 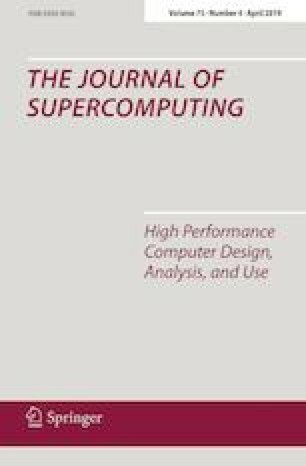 In this paper, we perform an analysis of different resource optimization strategies for vector architectures. In particular, we expose the need to break down voltage and frequency domains for LLC, ALUs and vector ALUs if we aim to optimize the energy efficiency and performance of our system. We also show the need for a dynamic reconfiguration strategy that adapts vector register length at runtime. Funding was provided by RoMoL ERC Advanced Grant (Grant No. GA 321253), Juan de la Cierva (Grant No. JCI-2012-15047), Marie Curie (Grant No. 2013 BP_B 00243).